At a public school in Hamilton, Ohio, today, Dubya signed into law an education bill that was one of his key campaign promises. "As of this hour, America's schools will be on a new path of reform and a new path of results," Bush said. Secretary of Education Rod Paige said the bill "will launch a new era of American education." After Senate passage of the bill in mid-December Bush proclaimed, "These historic reforms will improve our public schools by creating an environment where every child can learn...." In reality, the bill is what the Boston Globe called "an evolutionary move down a path that education has taken for more than a decade." Jack Jennings of the Center on Education Policy agreed. "This is not a new bill," he said. "It's like many political changes: It's an evolution, not a revolution." Educators around the country questioned the ability of the federal government to communicate provisions of the law to state and local organizations, and to integrate it with existing accountability mechanisms. Others noted that key provisions were logistically impossible in many urban and rural school systems. Hailed by the administration as a triumph of bipartisanship, the education bill was nonetheless largely written by the White House. Senator Jim Jeffords of Vermont, who preceded Senator Edward Kennedy as chair of the Senate Health, Education, Labor, and Pensions committee described the bill as demanding more of schools than Congress was willing to pay for. He voted against the bill -- the first time in 25 years that he voted against an education bill -- saying, "I fear that this bill, without the sufficient resources, will merely highlight our shortcomings.... I believe it is better to approve no bill rather than to approve a bad bill." Senator Paul Wellstone, Democrat of Minnesota also voted against the bill, calling it "a stunning federal mandate" that diminished "the essence of local control." Echoing Jeffords's sentiment that Congress was not financing the changes it required, Wellstone predicted local and state officials would ask "What did you do to us?" The most notable feature of the new legislation is mandated testing of children from third through eighth grades in reading and math. The testing is intended to identify patterns of school performance, trigger emergency aid measures, and if there is no improvement within two years, allow parents to move their children elsewhere. Educators have questioned the enforceability of the bill, since most successful urban schools are already operating at capacity, and many failing rural schools are so isolated that relocating students is not practical. In the country's two largest school systems -- Los Angeles and New York -- even failing schools are overcrowded, and the new legislation is not expected to change that. In Los Angeles 400,000 students attend school on a staggered year-round schedule because of overcrowding. The student body is growing by 18,000 pupils each year. Peggy Barber of the Los Angeles Unified School District told the New York Times, "In truth, there's no room in most schools." The cost of building enough schools to properly house just the students in California has been estimated at $30 billion. The total appropriation for the (national) education bill is $26.5 billion. In rural Wyoming, two thirds of the schools are in communities in which there is no alternative. Mary Kay Hill, the legislative liaison for the state's Department of Education, in an interview with the New York Times cited the community of Meeteetse which has 156 students in the entire district. Alan Safran, the deputy commissioner of education in Massachusetts challenged the notion that struggling schools could not improve without the right of children to transfer. "If we're on the right track, and we think we are, then choice over time is less of an imperative," he said. 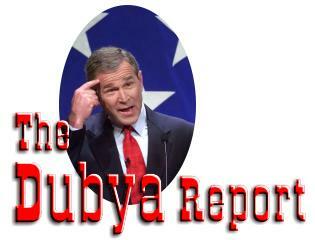 It was in a Los Angeles school in September 1999 that Bush first outlined his education proposals. One campaign proposal was to deny federal funds to failing schools, and make that money available to parents in the form of private education vouchers. That provision did not survive congressional negotiations. The mechanism that replaced it provides funds for tutoring, or transportation to another school, to students from low-income families in schools whose test scores fail to improve after two years. As we've noted, transportation to another school is useless if there's no room at the other school. Funds for tutoring are limited, as well. Failing students in California, for example, would be given $800, or enough to see a tutor less than once per week. The origins of the current education bill can be traced to a summit of state and federal education professionals convened by George H.W. "Poppy" Bush in Charlottesville, VA in 1989. Proposals for national standards and testing emerged from that meeting, but did not receive congressional approval. The Clinton administration passed two accountability measures: Goals 2000, which gave money to the states to develop standards and coordinate their measurement, and a change to the Elementary and Secondary Education Act mandating that academic progress of disadvantaged children would be measured against the new state standards. These earlier federal efforts to improve schools failed in part because states had difficulty setting standards, or failed to align existing testing programs to match those standards. Another crucial factor in the failure of earlier federal efforts was ignorance of the law among officials charged with implementing it. The Education Trust, an independent nonprofit organization that promotes elementary and secondary education, received a grant to explain the 1994 education law changes to school superintendents. Last year the organization reported that educators still did not know enough about the 1994 law. During the time Bush was governor of Texas, the state claimed that children's test scores were improved by the implementation of a plan similar to that contained in the new federal education bill. As we've pointed out elsewhere in the Dubya Report, however, dropout rates increased because students did not receive adequate preparation for the higher standards they were required to meet. Moreover, especially in schools with budgetary constraints, there was evidence that teaching focused narrowly on what would be tested. The teaching of analytic reasoning suffered particularly. Some states have implemented strategies that avoid the Texas pitfalls, but they may not survive under the new federal guidelines. For example, the new law requires a separate annual test score for each student. In Maryland, educators concluded that individual scores on a single test could be misleading. Further they recognized that testing can be detrimental to learning, as it was in Texas, if teachers teach only the limited subject matter appearing on a test. Their solution was to test groups of students on different aspects of the school curriculum; the state calculates statistically valid aggregate scores by combining results from all students in a grade. Educators in North Carolina found that comparing this year's third graders to last year's third graders was pointless, since students in a particular grade may on average be more or less capable than those in a previous year. In measuring school performance they compared the same students -- for example, this year's fourth grade to last year's third grade. While more sophisticated than the Texas model, North Carolina's methodology may not fit the new federal regulations. Kentucky tests science, social studies, the arts and health education in addition to reading and math. Subjects tested from year to year vary. School performance is judged not only from test results, but from samples of students' work, and the percentage who attend college, among other factors. The new mandated federal tests are seen as redundant. Under the new federal law, states may define their own proficiency standards, provided that the same standard is applied to all students in a grade. States must achieve their standards within a 12 year period. This makes some sense in Texas, where the standard is low and measures very basic skills. In California, the grade-wide standard is equivalent to university eligibility. Because of the high standard, the target for disadvantaged students is only 80 percent of the maximum, and schools must close the gap between present performance and the goal by 5 percent each year. Thus California will not be able to eliminate the gap in 12 years. They can only meet the federal requirement by lowering their achievement standards. It is ironic that an administration that preaches "less government" would intrude into what has been a state purview in a way that could lower the standards it purports to improve. When accountability was left to the states, better systems could be copied, and inferior systems abandoned without, as Richard Rothstein wrote in the Times "imposing the mistake on the entire nation." Secretary of Education Rod Paige could allow some state flexibility by issuing interpretations of the law's provisions. Otherwise, states may petition the government for waivers, or simply ignore the new law. See also Education Bill: Accountability for Appearances. For text of the education bill, search for H.R. 1 here.